Green / Yellow / Red. Precisely Concise. InstaScope samples are real-time and mobile and that means a more accurate and representative sample every time. The ability to move through the space dynamically means you can sample all breathing zones and areas of the room. 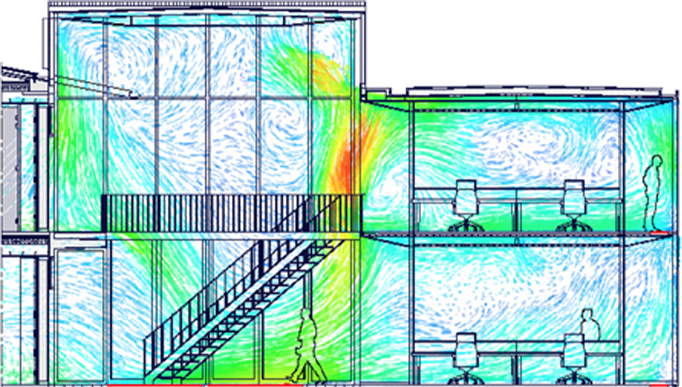 Stack effect, HVAC dynamics, and other building pressurization dynamics can push bioaerosols past the field of view of traditional sampling methods. With unlimited samples and real-time information InstaScope takes sampling to a whole other level. Comparing the differences between air samples is how inspectors better understand the property they are inspecting. Does sample A have a higher concentration of total spores than sample B? Does sample A have a different composition than sample B i.e. is there more of a specific type of fungi or other bioaerosol? It’s also common to compare results to a database (either published or anecdotal) of “normal” airborne populations. InstaScope revolutionizes this time consuming and highly variable process by bringing the power of digital processing. InstaScope uses sophisticated algorithms to analyze the particle data and produce results that are consistent and unbiased. InstaScope’s statistical difference engines reference the exterior aerosol, other samples in the set, variations in the local sample, and a national database of statistically derived thresholds.